Stephen Lynch’s move to enter the race comes in the midst of a hectic week of political maneuvering touched off by Kerry’s resignation as senator and confirmation as secretary of state Tuesday. 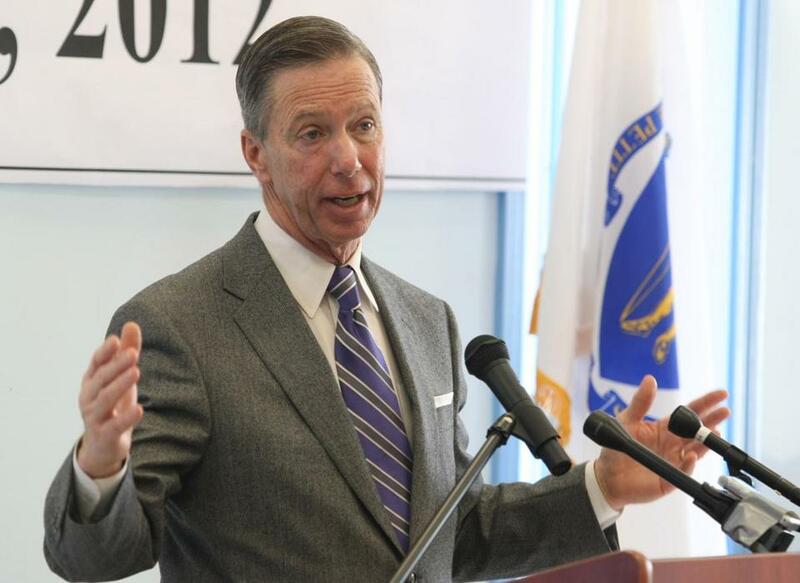 US Representative Stephen F. Lynch has reserved the union hall of Iron Workers Local 7 in South Boston for a Thursday after­noon announcement that he is running for the Democratic nomination in the special election to fill John F. Kerry’s seat, a person with direct knowledge of the congressman’s decision said Tuesday. That person said Lynch has reserved the Local 7 hall on Old Colony Avenue for an afternoon event. The reported decision by Lynch, a South Boston Democrat and former president of the Iron Workers local, sets up a battle between him and US Representative Edward J. ­Markey, dean of the Massa­chusetts congressional delegation. Lynch’s move to enter the race comes in the midst of a hectic week of political maneuvering touched off by Kerry’s resignation as senator and confirmation as secretary of state Tuesday. On Wednesday, Governor Deval Patrick plans to ­reveal his choice for interim senator, an announcement that has the political world on edge. The South Boston congressman’s entry into the race poses a direct challenge to the ­Democratic establish­ment, which has made Markey its ­favored candidate in an effort to avoid a divisive primary. Markey, a liberal Democrat from Malden, has drawn support from several key figures in the Democratic leadership, includ­ing Kerry and the Democratic Senatorial Campaign Committee. The two members of the US House were among dozens of officials who flocked to Faneuil Hall to hail Mayor Thomas M. Menino’s return to the political stage after a prolonged illness. After the mayor finished his State of the City address, the congressmen gave dueling, ­impromptu press conferences, standing almost back to back. Markey said he welcomed a primary challenge, but also seemed to draw a distinction between himself and the more conservative Lynch. “My focus is going to be on climate change and equality for women and for gays in society,” Markey said. Lynch has painted himself as a scrappy outsider unbeholden to the Washington establishment. He has a voting record largely in line with the rest of the state’s Democratic delegation and strong support from unions that can turn out Democratic voters in the primary. But some of his socially conservative positions on abortion could prove problematic in the primary, where voters from the liberal flank of the party have a strong influence. As a state legislator, he had a 100 percent voting record from Massachusetts Citizens for Life, said the organization’s president, Anne Fox, who recalled once attending a house party in which Lynch pointed proudly to his record on the issue. In Congress, Lynch has sided with the National Right to Life Committee 38 percent of the time. In 2009, during debate on President Obama’s health care overhaul, he joined anti­abortion activists and voted for the Stupak amendment, which sought to ban the use of federal funds for abortion or health plans that covered abortion. In 2010, he sided with ­Republicans and voted against the health care bill. Lynch said he opposed the legislation ­because the Senate had added the so-called Cadillac tax on expen­sive insurance plans and because he was disappointed that the bill did not allow states to adopt government-run insurance plans, a liberal priority. Lynch has said that he would not seek to repeal the law. On the Republican side, Scott Brown, former senator, continues to stay silent about his intentions as he considers jobs in the private sector. His low profile has produced a great deal of anxiety among ­Republican leaders who feel he has a strong shot at winning the seat. Polls confirm that, if he enters the race, Brown holds an advantage over Markey. Andrew Ryan of the Globe staff contributed to this report. Frank Phillips can be reached at phillips@globe.com.